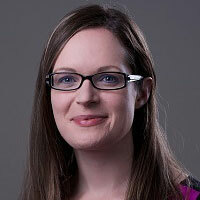 Cynthia English, a Research Consultant at Gallup, specializes in research design and analytics. Her primary areas of expertise are questionnaire development, quantitative and qualitative research methods, and communications. Cynthia has nine years of survey research experience and leads research design for hundreds of domestic and international studies annually. She served as Research Director for the U.K. and Germany Gallup Daily tracking polls from 2010 to 2012. Cynthia’s primary research areas include education, international relations, media studies, poverty, and youth development. She has published more than 80 articles on Gallup.com and has authored many research reports for Gallup. She has co-authored several conference papers that have been presented in Europe, Africa, the Middle East and the U.S. She is also a frequent presenter at conferences and events, and has served as a guest on Radio Free Asia. Cynthia received a master’s degree in public policy analysis from the Harris School of Public Policy Studies at the University of Chicago, with concentrations in international policy, cultural policy and the nonprofit sector.